One of the many advantages of the DreamMaker home renovation franchise opportunity is how we help owners follow systems to create a better experience for both themselves and their clients. 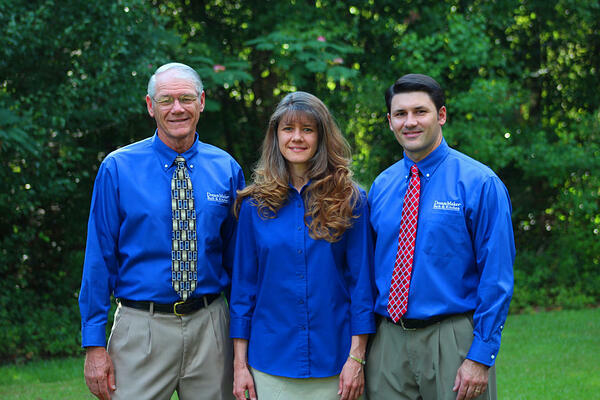 Eric Anderson runs DreamMaker of East Georgia with his father, David, and his sister, Leesa. They transitioned their existing remodeling company into a DreamMaker franchise to create a business that was less reliant on them and allowed them to delegate more to their team. David, Leesa and Eric Anderson of DreamMaker of East Georgia. In the home improvement industry, being part of a brand with a proven track record can help you stand out in your market. With our 96% recommendation rate on GuildQuality, your potential clients can see for themselves how well DreamMaker’s systems perform. Our entire process is designed to make the remodeling experience easier on your clients. Our training and project planning tools help you keep jobs efficient and cost-effective while minimizing the risk of unforeseen complications.